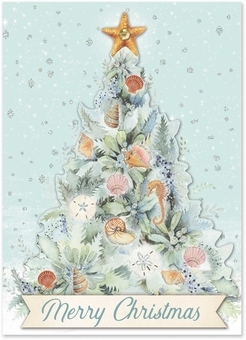 Bring some nautical delight to your loved ones this holiday season! 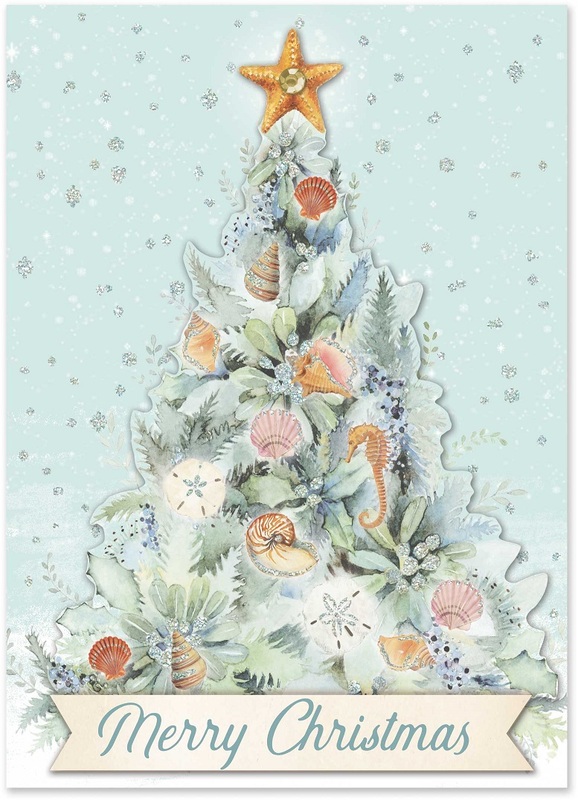 These cards feature a most unusual Christmas tree decorated with seashells and other ocean treasures! "Merry Christmas" is written across the front, with a message of "Warmest Holiday Wishes" inside. The cards have gems and glitter to really make them shine!